All of us know how important it is to put good things in our bodies to help us stay strong. 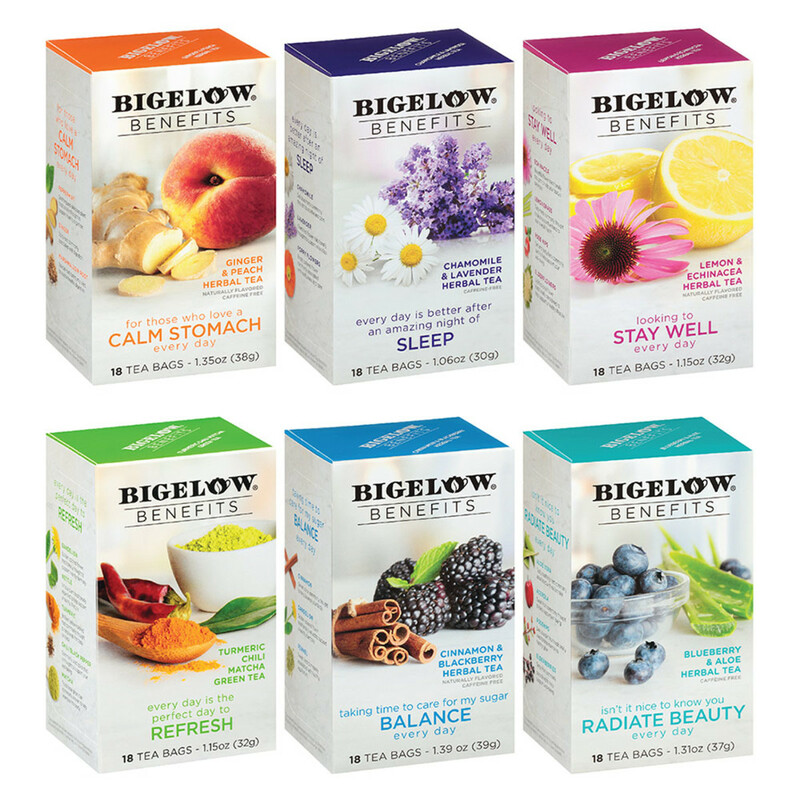 That desire was the inspiration for the Bigelow Benefits line, everyday teas that fuel your body with good for you ingredients. This mixed case includes 1 box each of the following: Ginger & Peach, Chamomile & Lavender, Lemon & Echinacea, Tumeric Chili Matcha Green, Cinnamon & Blackberry and Blueberry & Aloe. Total of 108 tea bags.